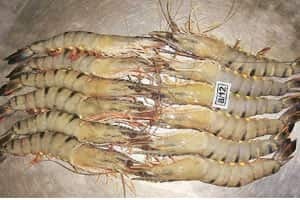 Strategic move: The Indian black tiger shrimp is already recognized globally. The marketing campaign adopted by MPEDA is aimed at exploring opportunities across different overseas markets. “Hopefully, we should touch the $2 billion level by the end of this fiscal," said G. Mohankumar, MPEDA chairman, who disclosed that the government agency had appointed advertisement company Lintas Personal, the direct marketing and customer relationship management arm of Lintas IMAG, as its consultant for the marketing war. With the Indian black tiger shrimp already being recognized globally, MPEDA’s marketing campaign will explore opportunities across different global markets. Mohankumar said Lintas has been asked to study markets in the US, the European Union and Japan to identify specific areas where seafood products could make a big entry. The Lintas contract will be for three years that would have to be renewed every year. MPEDA hopes to spend around Rs20 crore for the marketing strategy, but the amount could be raised later depending on requirements, he added. The goal of the trade promotion body is to get into new markets on the back of a growing global retail market. The campaign would help small- and medium-scale producers access major retail markets through a system of co-branding of their products with foreign companies. Lintas would conduct a study of the market in each region based on which the companies could look at product co-branding. Nearly 30% of the funds in the 11th Plan, from which MPEDA has sought Rs500 crore, would have to be utilized for marketing activities. During the last plan period, that outlay was only Rs200 crore. The Indian seafood industry will also look at the domestic market. A.J. Tharakan, national president of the Seafood Exporters Association of India (SEAI), said the country’s seafood market is pegged at Rs60,000 crore. The development of cold storages and better logistics have made access to good quality seafood easier for consumers. Given the growth potential in the domestic market, those processors, who are now looking only at exports, would in the next few years have a part of their processed material sold in the domestic market, Tharakan added. Quality concerns and hygiene issues have made the MPEDA look at setting up Netfish Network—a society for fish quality management and sustainable fishing. The network would work with non-profit organizations and scientists at the grass-roots level, Mohankumar said.